A storage rack provides a convenient means to both dry and store often cumbersome athletic clothing and equipment. The storage rack is of an endo-type design in the sense that the stored athletic equipment and clothing is substantially draped over or encapsulates various appendages of a hollow shell of the rack. Internal surfaces of the athletic equipment and clothing are dried by a series of air flow apertures carried by each appendage which communicate inwardly with a common air chamber held at superatmospheric pressure and defined by the shell. Preferably an inlet supply air passage is also carried by the shell for receiving superatmospheric air into the air chamber. 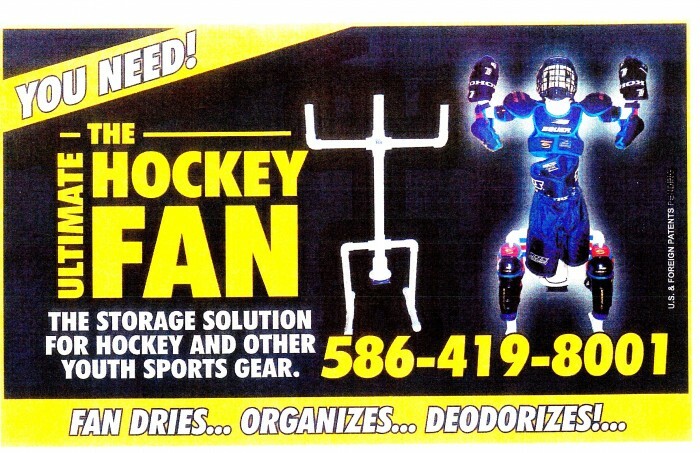 Nothing like the Ultimate Hockey Fan exists! 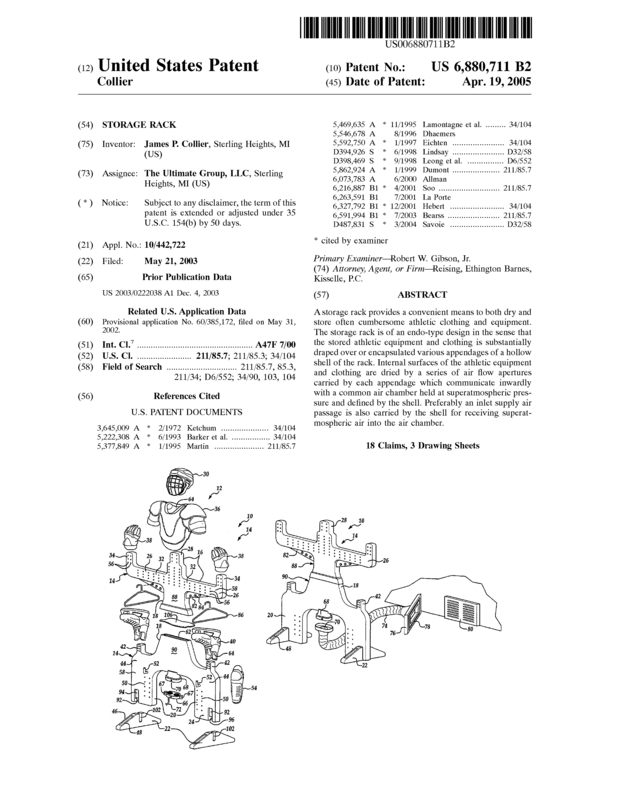 The Ultimate Hockey Fan has U.S. and Canadian patents. It is currently manufactured, packaged, and marketed in Michigan and only sold in two major sporting goods stores in Southeast Michigan. It is made of plastic tubing, but more efficiently and cost affectively made by either plastic blow mold or injection mold. I will consider any kind of business arrangement with any experienced company that has the capitol and know-how to manufacture, market and sell this product nationally and internationally. 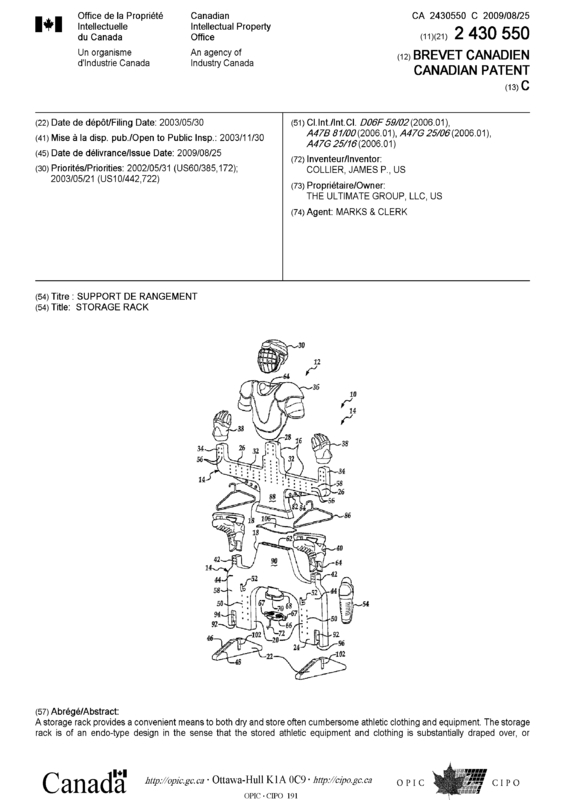 Page created at 2019-04-21 18:58:27, Patent Auction Time.